“Disappointing, but not surprising” is how coastal officials are describing the state’s decision to place $20 million from a settlement with Transocean Offshore Deepwater Drilling, Inc. directly into Alabama’s general fund budget. Gov. Robert Bentley announced the settlement on Oct. 22, calling it another “positive step forward” in the state’s environmental and economic recovery from the 2010 Deepwater Horizon oil spill. The state already settled with BP in July to the tune of $2.3 billion, nearly $1 billion of which is staying in Montgomery. As they did in July, local and federal officials are saying those dollars would be better spent addressing the needs of Mobile and Baldwin counties — which felt the direct effects of the spill both environmentally and financially. Dorsey said most of those projects are aimed at alleviating congestion problems that have become a pressing issue as Baldwin County continues to show a steady growth in population. He also said some of that money could have been used to help subsidize the cost of the I-10 Mobile River bridge project, which both Baldwin and Mobile counties have prioritized. Of the $1.02 billion the state is expected to net through its combined settlements for lost revenue, Bentley has only announced plans to make a $50 million contribution to the Gulf State Park Restoration Project in Baldwin County. The same project has already been awarded $85.5 million in separate Natural Resource Damage Assessment (NRDA) in the wake of the oil spill. While Tucker said he was glad to see some money coming to coast, he said it would ultimately have more of an effect on the city of Gulf Shores than for the county as a whole. Dorsey and others, like U.S. Rep. Bradley Byrne, are saying the frustration over the lack of money coming to Gulf Coast has compounded throughout the multifaceted recovery effort. After the Transocean settlement was announced Thursday, Byrne’s office quickly released a scathing statement from Washington. 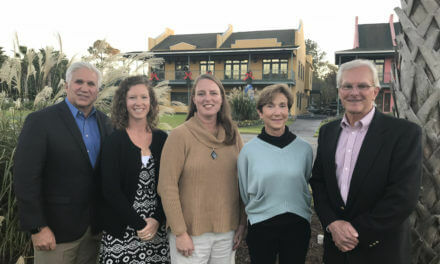 Byrne also said he would continue to support the local efforts of state lawmakers to lobby for more of the state’s settlement dollars finding their way to the coastal counties. 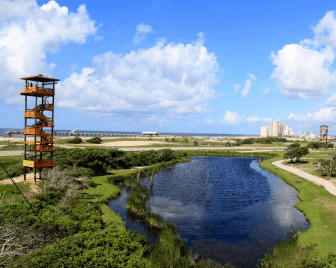 In addition to the settlements, Dorsey, Byrne and others have also expressed disappointment with the amount of money that will ultimately come to the coast through Alabama’s Gulf Coast Recovery Council via the RESTORE Act legislation. Throughout years of sealed legal discussions, Dorsey said he and the other members of the restoration council expected around $1 billion to come through the RESTORE pipeline. When the dust settled in July, the number only got up to $599 million despite BP’s total settlement falling in the $18 billion range.